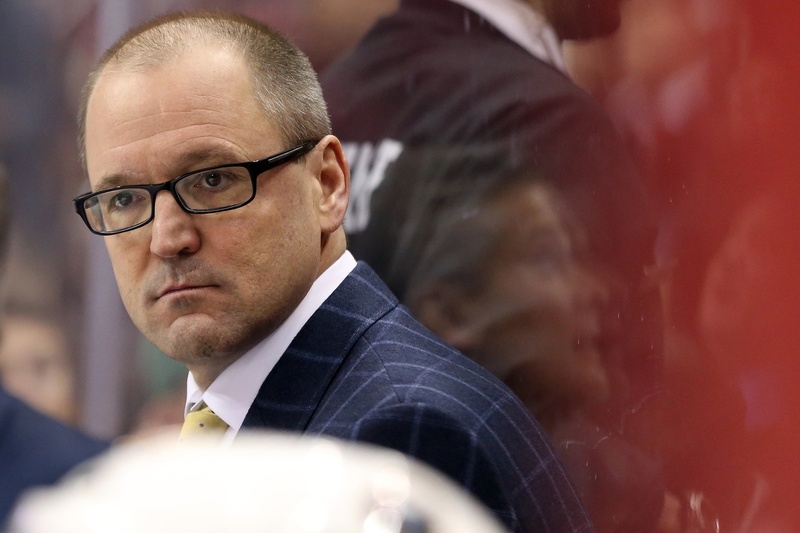 The Buffalo Sabres have fired head coach Dan Bylsma and general manager Tim Murray. The team made the announcement on Thursday. Bylsma had spent two seasons behind the bench of the Sabres and went 68-73-23. He was the fourth coach to join the team under Pegula’s ownership, following in the footsteps of Lindy Ruff, Ron Rolston and Ted Nolan. He was signed to a five-year deal in 2015. Prior to Bylsma’s tenure with the Sabres, he went 252-117-32 with the Pittsburgh Penguins and coached them to a Stanley Cup in 2009 just four months after taking the post. Murray had been general manager of the Sabres since January of 2014 and was apparently supposed to turn the franchise into a playoff contender, something Buffalo hasn’t been since 2010-2011. Expectations have been high for some time now, with forward Jack Eichel among those supposed to lead the franchise to the playoffs once again. But word around the campfire is that Eichel had a less than cooperative relationship with Bylsma, with his name among those rumoured to suffer discontent with the coach. According to multiple reports, it was either Eichel or Bylsma. Now, those rumours were denied by Eichel and his agent and the reports were called “frustrating.” But that hasn’t stopped them from taking on serious legs in the sports news world. Eichel is supposed to be the driving force behind the Sabres, but things haven’t worked out – to say the least. Whether or not the 20-year-old is on the move or not is a matter of opinion at this point. Unfortunately, today’s news will do little to quell the notion that Eichel and Co. were at least partially responsible for running Bylsma out of town. It’s a controversial viewpoint given the denials, but it’s not that hard to believe. And with the quick release of coach and GM a day after the rumours hit the air, it’s hard not to see the connection.